1. Individual candidate level to ensure that our candidates exit our programs with the appropriate skills, knowledge, and dispositions to be effective professionals. 2. Program level to determine the effectiveness and cohesiveness of candidates' courses of study. 3. 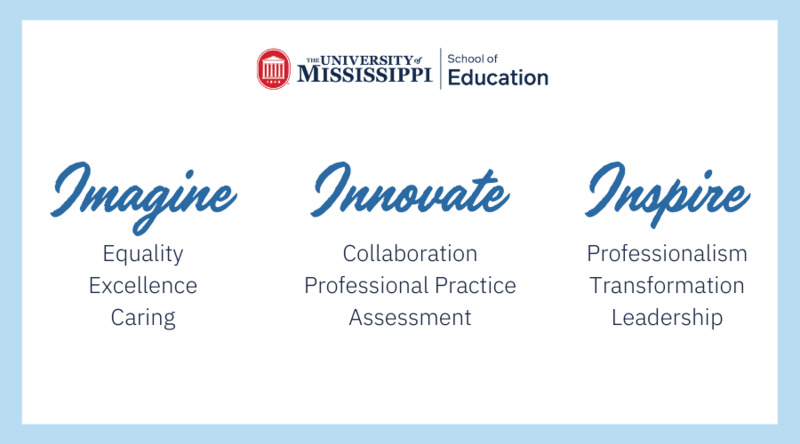 Unit level to monitor the connectivity of programs and their alignments with professional standards; unit's mission, vision, and goals; the conceptual framework and articulated needs from the field, and dispositions to be effective professionals. Assessment data are collected from multiple sources including candidates, recent graduates, faculty, clinical instructors, principals, and external reviewers. These data are systematically compiled, summarized, and analyzed annually to assist in making improvements that have a positive impact on candidate performance, program quality, and unit operations. The process provides an empirical basis for informing, evaluating, and continuously improving the unit and its educator preparation programs.